I found making this doily very relaxing, so I think I should have more things like this for sale in my little online shop. Pinning it out to be blocked was also relaxing, and it needed quite a bit of that! When I was pinning this I noticed something about my design that I think I oculd improve, so the next doily will be 11 rounds instead of 10 rounds like this one. I completed it within an afternoon so that's not too bad, time wise. I used some of my beautiful 4 ply cotton from Bendigo and a 3mm hook. 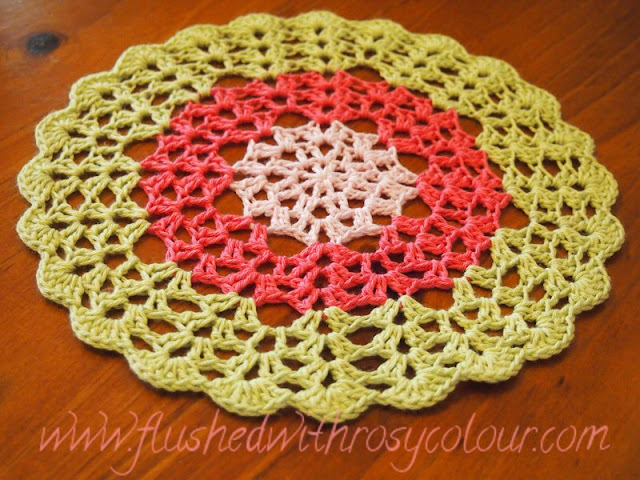 When I'm happier with the pattern I hope to share it on Ravelry as a download in a set of doilies. 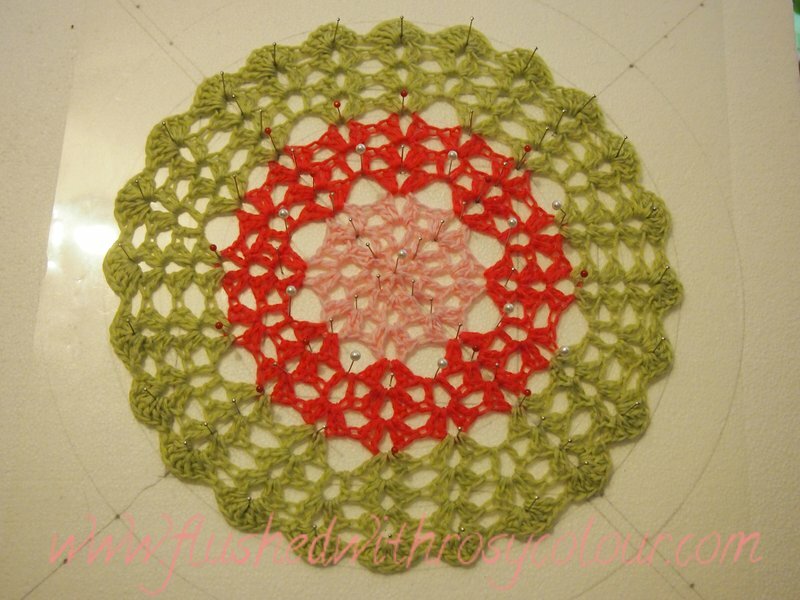 My friend Hazel has offered to pattern test so I'm very excited!